On Siena College Week: Grief isn’t always private in the age of social media. 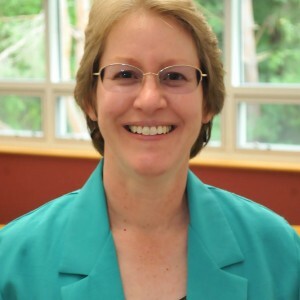 Carla Sofka, professor of social work at Siena College, explores how grieving has changed in a connected world. Thanatologists – those who study death and grief – have watched their subjects of expertise shift from being taboo to becoming more and more commonplace on digital and social media over the last decade. How society deals with tragedy and loss is being transformed by websites, virtual cemeteries and social media – this is thanatechnology. There are pros and cons to using thanatechnology. For example, the Caring Bridge website provides seriously ill people with a way to quickly share information, provided their family and friends have the link. Messages of support can instantly be posted. Websites and blogs designed to help people cope with tragedy are easy to find, but hopefully the information is trustworthy. Before the digital age, people needing to share “bad news” had control over how and when this was done, often talking with someone face to face or on the telephone. Now, people often learn about a tragedy within minutes via a text message or a posting on Facebook or Twitter. Once the news goes public, control over what happens with the information is lost, and some family and friends may learn about the death in a less-than-ideal way. While many people find comfort in sharing memories of the deceased on social media, others who prefer to grieve in private may be forced to deal with powerful reactions in a public place if these postings are unexpected. Recently, students in Florida have demonstrated that social media can be used in survivor advocacy efforts designed to prevent future tragedies. Since thanatechnology is here to stay, it will be important to develop a way to educate people about “netiquette” for using social media when dealing with illness, grief, and loss.